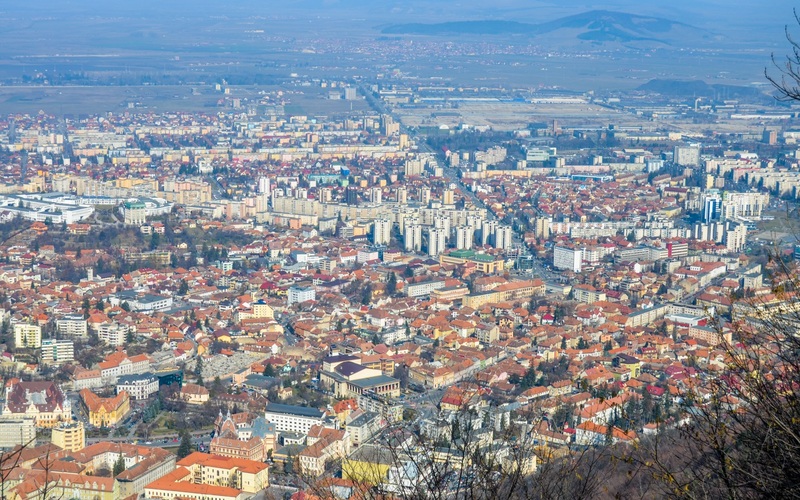 The Brasov metropolitan area get in among the regions that have developed sustainable urban mobility plans to enforce European concepts of planning and mobility management. SUMP Brasov comprise municipalities, Brasov, Codlea and Sacele, cities of Ghimbav, Predeal, Râșnov, Zărnești and localities Bod, Budila, Cristian, Crizbav, Feldioara, Hălchiu, Hărman, Prejmer, Sânpetru, Tărlungeni and Vulcan. 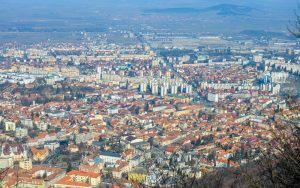 Growth pole Brașov has a population of about 400,000 inhabitants and a total area of 139,628 ha. 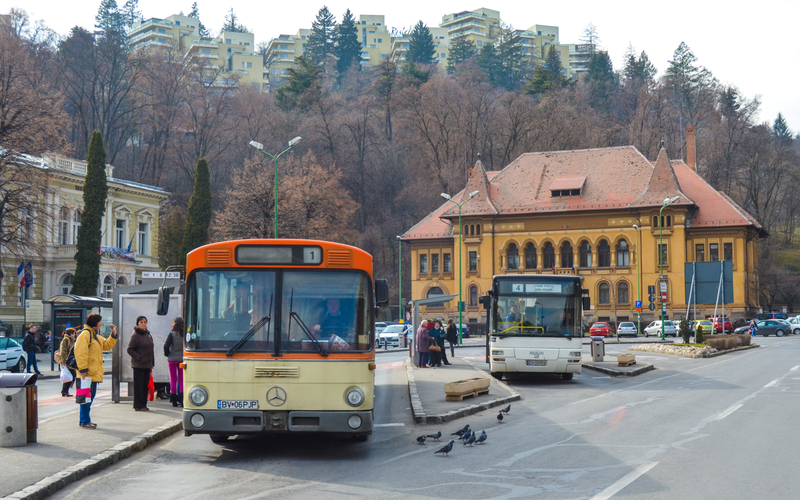 SUMP Brasov 2016-2030 period concerns, with the target of establishing an integrated transport system, durable, safe and accessible to all, connecting people and places, promoting economy, environment and quality of life. Some of the measures identified to be financed through the Regional Operational Programme 2014-2020. SUMP Brasov provides a list of projects and general directions, starting with the legislative, to those that make everyday traffic, parking, and public transportation. Institutional plan provides for the activation of the total organizational structure within the entire region covered by a new realization PUMD, a public service contract between the RATBV and the municipality of Brasov, implementation of new policies and procedures in the field of transport planning and reducing the speed limit to be implied within the city. The parking lot is the arrangement of public parking spaces outside the roadway to free the space of the street for other uses, such as bus lanes, sidewalks and bike lanes. Poiana Brasov is a parking guidance system and display system messages. Parking in the central area is going to be charged, especially for those who travel by car to work. Transport planning will be correlated with urban planning, we developed a series of transport planning policies which integrate land use (PUG), as well as a data collection program. The projects aim at increasing the quality of the pedestrian network, including rehabilitation of pavements, indicators and some development projects for pedestrians/common spaces and major land areas connecting to the network of bicycle paths. Bike rental system existing in the city will be expanded to include the University, hospital, train station, bus station, large areas of commercial and industrial/business, as well as areas near residential areas. A new network of roads will be constructed for pedestrian areas, Universal, Modarom, station Poienelor, Calea București, the sidewalks will also be upgraded in the urban center of Sacele. Road safety will be improved by removing the 4 points for dangerous pedestrian area identified and of those 9 points for dangerous vehicles. All pedestrian crossings will be with command buttons until the year 2020. For pedestrian crossings with great lengths or the meanings gyration is considering the establishment of a secure staging areas at the middle of the street. The plan considers an analysis of one-way arteries to bring about transformation in some streets with two-way traffic will be managed intelligently through the implementation of a system of centralized traffic control, including system vehicles detection, adaptive, UTC’S priority for buses, CCTV monitoring, inspection and invocation of strategic and tactical plans for traffic management. Diversionary routes will be implemented for Rasnov, Brasov and in Dhahran by defining the inner ring of the municipality. A new underpass is envisioned in the DJ 103C-Sânpetru, Micșunica Passage, an underpass in the Historic Centre of the Răcădău, but also a rail bridge over Liberty-bridge rehabilitation over Poliștoaca railroad in Predeal. The achievement of a two-lane one-way between DN1 (direction) and Bacău-Onești DN11 and an access road to connect the ring road of the city of Săcele with industrial platform, Roman Brașov Dârste and shopping area. Also, the project will contribute to the decongestion of traffic DN1 and in Brașov. Public transport will be reorganized to achieve integrated networks, with the prospect of integration and local rail network. 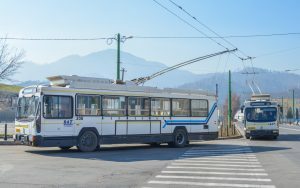 Electric transportation will be reinvigorated through a plan to revive the network of trolleybuses from Brașov, through a programme of redesign of the network, fleet replacement and modernisation of infrastructure. CFR Brasov railway station will benefit from a capital repair with the modernisation of infrastructure and adjacent areas. Also, bus stations and transport terminals will be rehabilitated, where were not included in the project already completed modernization of transport terminals. Bus Park will be modernized and standardized as models and layout, to provide a more effective system for maintenance. Will also be implemented measures for granting priority for dedicated public transport lanes. For an efficient management of the mobility it considers the public’s involvement in the development of new color displacement, to be covered most commonly used routes. Intramodality will be increased through implementation of new Park Ride in the inputs panorama II, numbering and parking for bicycles. SUMP Brasov provides implementation in 3 stages, starting with the easiest to deploy, but needed in short time. 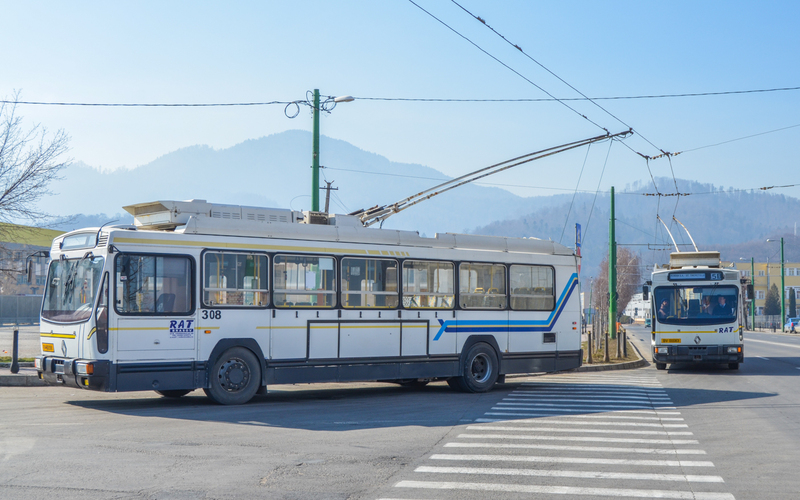 The first projects provide full activation of the authority that would deal with the implementation of projects in the area comprised of SUMP, reviewing public service contract between the RATBV and the municipality of Brașov, digitized management of public transport and of the eTicketing and implementation of 34 new CCTV cameras in the system. The projects have a total value of EUR 7.8 million. The second stage goes in policy for mobility planning, parking and for removing blackheads from traffic. Pedestrian areas, pedestrian crossings and public transport services are also included in the second stage, with the involvement of the public in the implementation of projects. The trolleybus is included in this stage, with all the above measures. The total value of the projects contained in this stage is EUR 39.8 million. The third stage includes most of the major projects for Poiana Brasov, development of new bike lanes and networks and pedestrians downtown Fairfax, rehabilitation, upgrading the fleet of buses, and major road projects. It also aims to modernize the bus fleet, and for the development of these passageways reapplying for an intelligent traffic and dispatching of traffic in the city. The projects have a combined value of 88.7 million euro, divided into two periods 2016-2020 and 2021-2030. All three stages are integrated into a stage, which includes the most complex infrastructure works, represented by upgrading roads, detours, new city road rings, Park&Ride points and tunnel Racadau – historical centre. They value having 192.2 million euros. Thus, the total value of the projects included in SUMP reaches 328.6 million euro, for 2016-2020 and 2021-2030 period.